Strangled by Saudi-led war, famine and internal divisions, Yemen faces a possible turning point. The assination on 4 December 2017 of former Yemen President Ali Abdullah Saleh has potentially opened a new chapter in the ongoing struggle for power in Yemen. There might be a possibility that with a major actor pushed off the stage, the lesser actors might accept the good offices of the U.N. mediator Ismail Ould Cheikh Ahmed and form an inclusive central government. There is also a real possibility that the armed conflict becomes even more protracted as factions see increased opportunities to advance their interests. The Saudi Arabian leadership had expected a quick victory when in March 2015 they launched their operation at the time called "Decisive Storm". 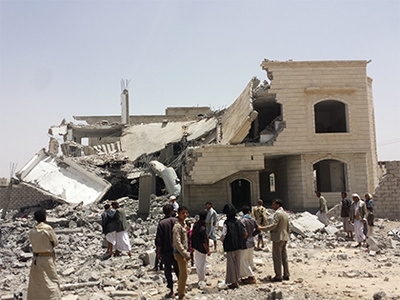 Despite limitless weapons from the USA and Great Britain, including the use of U.S.-made cluster weapons now banned by world law, the Saudi-led coalition made relatively few territorial gains beyond those tribal areas within Yemen that were already favorable to the Saudis, tribes that often existed on both sides of the frontier. The relative strength of the central government has been based on patronage strategies, offering major tribal leaders some economic advantages. Until March 2011, most people had little say as to government policy. In March 2011, in the spirit of the "Arab Spring", there were popular demonstrations throughout the country demanding jobs, the end of corruption and some respect for all citizens. By the end of 2011 Ali Abdullah Saleh, who had been in power for 33 years, was pushed out and replaced by his vice- president Abdu Rabbu Mansur Hadi who has the same governing style but who was considered as a change without upsetting too much the governing pattern. Saleh, however, never really accepted the idea of giving up power and its material benefits. He formed an alliance with a religious movement that drew its members from the same geographic region. Saleh had combated this Huthi movement, including by force of arms, when he was president. But for a time the alliance seemed to be mutually beneficial. The alliance broke sharply this November. Fighting among the Huthi forces and those loyal to Saleh broke out in the capital Sana'a in November and on 4 December, Huthi troops shot Saleh in his auto as he was trying to leave the city. The second major issue concerns the ability of Yemen to remain as one State or again to split into two with Sana'a as the capital of one State in the north and Aden as the capital of another State in the south. The two States were the political structure until 1990 when the People's Democratic Republic of Yemen, with its center in Aden, combined with the Yemen Arab Republic in the north to become the Republic of Yemen. Leading up to 1990, there was wide hope that the union of the two States would lead to increased economic well being. In practice, there has been little improvement. If there has been an improvement, it is because of external economic factors and not directly linked to the union. The lack of improvement in the south has led to resentment in the south and on the part of some persons, a desire for southern separation. Now, some in the south have formed militias. It is difficult to know how far they will push for separation and the creation of an independent State. Already in 1994, there had been armed attacks to push for a return to an Aden-based State. Today, the choice between an end to the armed conflict with negotiations for a renewal of a Yemeni State on the basis of the con-federal system proposed and continued fighting in the hope that one faction become a "winner-take-all" is relatively clear. 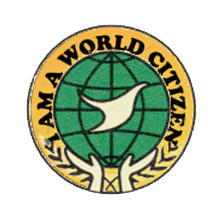 The Association of World Citizens is resolutely for an end to the armed conflict with serious negotiations on the structure of a future State. We encourage others to support such a policy.